We share ten fail-safe ways of making sure you still feel like a princess from the moment you unpack your bag! Pack a post-flight spritz pack in your hand luggage. In it have some face wipes, a tinted moisturiser, and lip balm. This is all you’ll need to revive your look after a long or short haul flight. Keep your clothes crease-free. Roll your clothes rather than fold. Not only will this reduce creasing, it will take up less room in your suitcase too. Avoid smashed makeup. Pop a cotton wool pad in compact powders to stop them breaking up and use a make-up roll for makeup pencils. Keep your makeup brushes bushy and beautiful. Use a toothbrush cover over the ends. Not only will this stop the brush getting damaged, it stops powder going all over your makeup bag too. Pack pretty undies without them getting crushed. Invest in specialist lingerie luggage to protect delicate silks, intricate beadwork, and moulded bra cups getting damaged or creased. Keep jewellery tangle free. Put pairs of earrings through buttons, and use organza bags to store individual items. Decant your best beauty buys into small pots. Tester pots or stacking travel pots are ideal, and will mean you can carry your most precious potions in your hand luggage rather than risk losing them in hold luggage. Use waterproof bags to prevent nasty spills. No one wants shampoo and conditioner exploding over their honeymoon holiday clothes, so put liquids in a waterproof travel pouch. They are usually deigned to keep liquid out, but you can use it to keep spillages in! Gift-wrap your most delicate items. Whether it is a silk cami, or your favourite diamond necklace, pack it like you were wrapping a gift that has to be sent by post. Think tissue paper and bubble wrap, and a box if needed. Prevent odours from shoes tainting your wardrobe. Place odour eliminating insoles into shoes before packing. They should soak up any unwanted odours before your clothes do while in the confines of your suitcase. 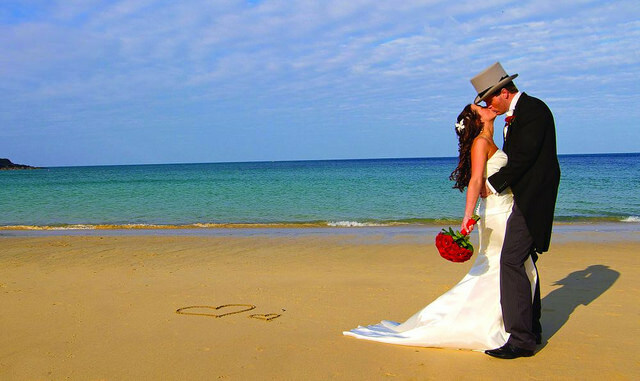 Make sure you get travel insurance before you jet off on your honeymoon! Call the team at WorldwideInsure.com on 01892 833338. This entry was posted in Travel Advice, Travel Tips on June 10, 2016 by worldwideinsure.